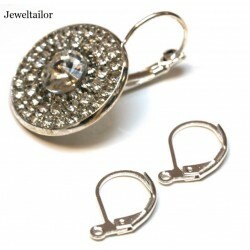 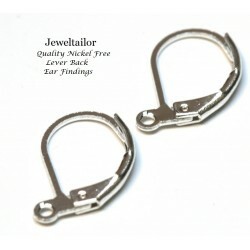 These shiny silver plated lever back earring findings provide a more secure fitting to ensure your earring stays put and are lead, cadium and nickel free for added comfort. Each features a lever which opens and closes and you can see an example of how they can be used on the other page. 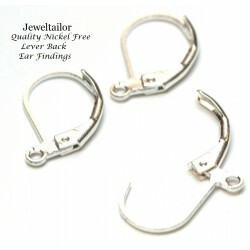 Each silver ear finding measures approximately 15mm x 10mm with a 1mm hole at the bottom for easy attachment. Once you have created your earring (using material such as head pins or chain etc) you can simply attach your creation to the loop at the bottom of the finding and your earrings will be complete.